I don’t know. Perhaps I am a bit of a kill-joy or something. But, I think that constantly pursuing happiness in this world doesn’t make a lot of sense to me. Depression and sorrow aren’t things people want an abundance of in their lives either. But, the pursuit of worldly happiness is something that I think we would do well to tone down a bit. When people earn or receive wealth, status, and power, there is a tendency to forget God. There are stories of how musicians and singers began careers in the church with good intentions. But, fame (small and great) went to their heads and they fell into horrible errors. Many a preacher had become too big for his pants and fell into disgrace as well. Yet, many Christians will post “decrees and declarations” for God to shower us with money, success, and happiness not realizing that these things are also traps used by Satan to make us so comfortable and complacent that, in time, we wind up turning away from God instead of toward Him. I wish you many years – but not for them to be too happy, because happiness in the world isn’t really so healthy. When a man is too happy in this world, he forgets God and forgets death. Let us accept and welcome the wounds that life inflicts on us. For a while, they will hurt. There are lessons for our souls in this pain that cannot be obtained in worldly happiness. When we receive earthly blessings, let’s praise God and keep going on our way. Jesus often sent those who he healed home with the instruction not to say anything about what happened. There is a gift in being sober minded in our times of earthly blessings and happiness. Reach for this gift and we won’t loose site of God in times of victory or defeat. So, it has been revealed that the “Hands Up, Don’t Shoot” scenario was false and the city of Ferguson MO was discovered to have a problem with racial bias after a series of peaceful protest and violent riots based on that falsehood. Meanwhile, a black student in Charlottesville VA with a clean record and good reputation gets his face slammed in the pavement by white law enforcement officers for supposedly using a fake ID at a bar. And while these stories of racial clashes are broadcast all over the news, four black students on a historically black college campus were stabbed by black people in Baltimore MD. 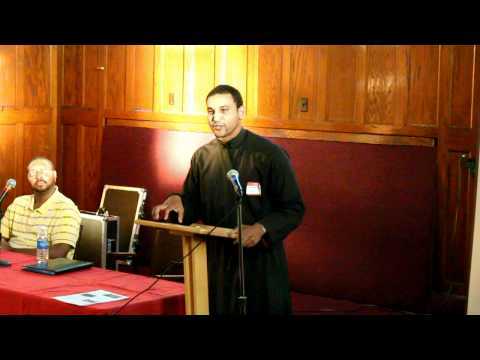 Since 2013, I have been saying that there is a need for African-Americans and Americans in general to know the saints of Africa and turn to Orthodox Christianity. Then again, since I have no popularity or status, it is easy to ignore the words of a poor country preacher. I really don’t care to have a national spotlight. If someone else more noteworthy wishes to say the same thing I am saying and captivate the world’s attention, glory be to God. Because the continued ignorance of the brown and black (red, yellow, and white as well) skinned holy men and women and the Holy Catholic and Apostolic Church they belonged to is not working. The situation in Charlottesville is personal to me as my wife is from that city. My in-laws live there, I got married there, it is a home to me. Dr. William Black, and Orthodox missionary to Kenya and Chanter at St. Nicholas Ukrainian Orthodox Church in nearby Greenwood, recently spoke at UVA about the history of African Christianity on that campus. St. Nicholas hosted a series on the topic “The Surprising Story of African Christianity” (I had the blessing of being one of the speakers). With such a topic, there should have been a strong flow of traffic on I-64 to the church. The hall that Dr. Black was speaking in should have been standing room only. And had those police officers been in either audience, they may have learned that the very New Testament that they have was put together by a black man, Bishop Athanasius of Alexandria. 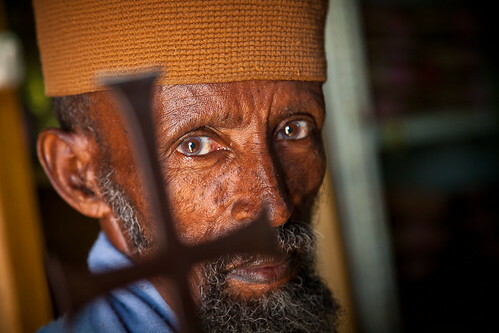 They may have learned why blonde haired, blue eyed, Russians love St. Moses of Ethiopia as an example of humility and forgiveness. Maybe they did have reason to suspect that the young man they brutalized was up to no good. But, if these men had knowledge of the African saints (better still, been devout Orthodox Christians), they would have handled the situation far more peacefully. The situation in Baltimore also grieves me as my wife and I have family there. Morgan State University is an historically black college like our alma matter, Virginia State University. It is bad enough that someone outside of our race commits violence against us. But, we haven’t even made our own communities safe places for ourselves. And for this to happen on a campus where our young adults are striving to have a better future is nothing short of horrible. In a place of higher learning, there should be more images of St. Anthony who is regarded as the father of Christian monasticism and St. Cyprian who led the church in Carthage during some of the worst Roman persecution. St. Perpetua’s diary is one of the oldest writings of a Christian martyr. But, even among our best and brightest, our youth and young adults are infected with the images of the likes of 2 Chainz, Nikki Manaj, Rick Ross (who is not the real Rick Ross), and that ilk. And what is the response to these unfortunate incidents? A rally chanting “No Justice = No Peace?” I have heard it said that it is crazy to do the same thing and expect a different result. Equality and justice are good things to strive for. But, apparently there is something deeper plaguing our society than rouge cops in Ferguson and Charlottesville. That same rouge spirit surfaces in other places at other times. At Morgan State, the administration is asking students to promote the positive things that are going on at the school. There is nothing wrong with putting one’s best face forward. But, unless the oral issues are dealt with, putting on a great shade of lipstick will not hide the rotting teeth. I believe the real issue is that the religious culture in America does not honor and celebrate the holy men and women that God has given to us as examples of how to live. We ignore their images, their role in establishing Christian doctrine, and their words of prayer and wisdom. Think about it, St. Patrick’s Day is celebrated not with worship services, special chants and prayers, and special meals that keep with the Lenten Fast. Irish and non-Irish tend to honor this holy man by having parades, parties, and drinking Guinness Stout. The Feast of St. Nicholas is on December 6th (18th for Old Calendar Jurisdictions), not on Christmas Day. December 25th (January 6th) is reserved for the birth of Jesus Christ. St. Peter the Aleutian is not made known to Native Americans outside of the Pacific Northwest although his martyrdom is the first known on this continent. Unlike Protestant missions, the Orthodox faith was not forced on anyone and Natives took to the Church as they could keep their culture and language and be Christian at the same time. During the 1960’s, African-American Christians were too busy with the Civil Rights Movement to learn about the Desert Fathers, Coptic and Ethiopian Christianity, and the black saints. Painting Jesus with an “afro” or “dreadlocks” is not good enough! Too many black church leaders ignore the depths of African contributions to early Christianity, do not try to share what they know with their congregations, or try to mix true Orthodoxy with Protestant doctrines. The Orthodox Church is also greatly at fault here as we have done a poor job of evangelism. 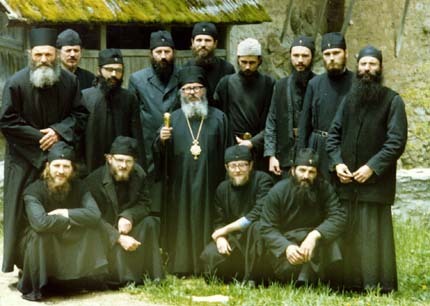 The late Antiochian Metropolitan Philip criticized our willingness to stay in our own little ethnic ghettoes when the wave of Evangelicals came into the Church in 1987. But, we haven’t had too many parishes in working class, mixed race communities, much less the lower income housing projects and trailer parks since then. Archbishop Iakovos marched with Dr. King in 1965. It doesn’t take a lot of courage for cradle Greeks or Serbs to share a prayer of St. Macarius with someone that has never heard of him. 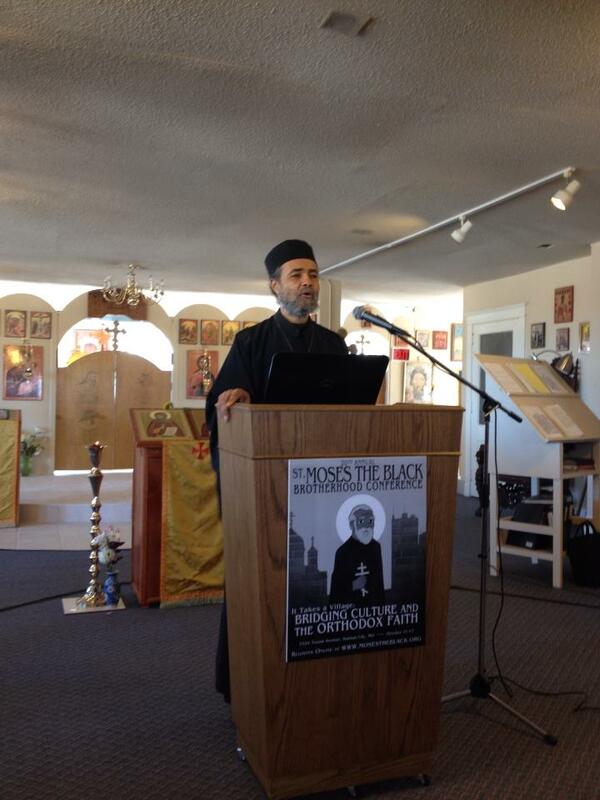 The Eastern and Oriental Orthodox Church has the light of God of 2,000 years and we in America have kept it under a bushel basket for way too long. No wonder this nation is stumbling in the dark. Let us make a stronger effort to share our faith with others. The first and best way for us to do so is to live Orthodoxy. Let us maintain the fasting, prayer rules, veneration of saints and their icons and love God and our neighbors as ourselves. We need not pester people. But, we can invite friends, neighbors, and relatives to our worship services. We can host special programs that focus interesting portions of our beliefs. Our Lord taught us that the harvest is ready, but the laborers are few. We make up a very small percentage of Christians in this nation. But, we can’t let that discourage us. After all, He did take two fish and five loaves of bread to feed thousands. Let us take what little we have and see the miracles God can and will do through us in healing America’s racial divide. Father Jerome Sanderson quoted this text and I just couldn’t help but to think about how silly a lot of us Christians are when we complain about how ungodly our society has become. Aquila and Priscilla had a church in their house. The very dwelling place of this couple was dedicated to the worship of God whether it was the community of believers, or just themselves. As the head of the household, Paul and other early Christian writers felt that the man of the house should also be the priest of his house and the wife to be the God-fearing helper to this domestic priesthood. The children were to be brought up in the fear of the Lord and guest were to be exposed to the Gospel of Jesus Christ. When the persecutions of the Church ended, it was suggested by the early fathers that each home have, at least, a corner of their homes as a dedicated worship area. It was to face eastward with a couple of icons, the Scriptures and other spiritual writings, and, perhaps, a lamp. Some icon corners were very elaborate, others simple. But, the purpose was the same; to bring the same spirit of worship seen in the church building on Sunday morning into the home for the rest of the week. The husband was qualified to lead family prayers and the wife with him. The children were to worship with tier parents. In the case of no husband being around, the matriarch of the family would then lead, as in the case of Timothy. If the man was unmarried, he was still to conduct his own prayers with himself, or any believer that came to visit him. Either way, the Christian home was a church in lock-step with the designated church where believers from all homes came together. Over the years, too many Christians have not heard of this model. Iconoclasm destroyed the use of holy images as such people ignorantly mistook them for idols. Doctrines such as sola scriptura (scripture alone) and soul competency taught that individual believers could know what the Bible means for themselves without correction from anyone else, even the church. Clergy were frequently put on a high pedestal due to their education. Thus, laymen left the idea of being a priest to the scholars. Chauvinism gave men an arrogance above their wives that poisoned their ability to give themselves up for their wives as Christ did for the church. Without such sacrificial love, they became poor priest when they did try to assume that role in their homes. Combine these toxins with the various means of entertainment that have developed over time and the pursuits of the flesh that have been with us since the days of Adam and Eve; and we can see that the very church that Paul praised his friends for having is absent for too many people today. Sure, prayer in schools is a great idea. But, if there is no church in the private homes, how can we hold the teachers and administrators responsible for making one in the public square? God made husband and wife, male and female; not Assistant principal and Forth Grade Social Studies Teacher. Yes, it would be nice if everyone came to church on Sunday. But, if they don’t worship in the house they already live in, why would they come to a house that is only open on Sundays and Wednesdays? And if they did come to the briefly opened church building without making their own homes houses of worship, is their worship that stable or genuine? We can bemoan how America has strayed away from its Christian roots all day long. But, without men and women taking their lay priestly roles seriously and making their homes a house of worship, we have no one to blame for this failure but ourselves. I would challenge anyone to establish a prayer corner in their homes and make at least 15 minutes in the morning and night a time for prayer and scripture. For my non-Orthodox friends, have a cross and Bible to start with. Every Orthodox Christian should have a traditional style (Eastern or Oriental) icon of Christ, the Theotokos, and a favorite saint along with the scriptures and a prayer book. I personally love the Trisagion Prayers. But, use the opening prayers of your jurisdiction or what your priest recommends. Read the scriptures of the day aloud. Pray for those who are on your mind and offer your own words to God. End with an appropriate closing prayer. Push to add more time to your home worship. But, don’t over-do it. That would be a source of self-righteousness. You will eventually become weary and quit, making you as bad as you were before, if not worse. Again, talk to your priest or confessor about your rule of prayer. Obtain a spirit within yourself and a thousand souls will be saved. One of the reasons why some African Americans are not becoming Orthodox is that we feel that it is someone else’s faith and culture and not our own. I have read some discussions on other sites as to where some of us wish to mix other doctrines into the Church to make it more relevant and appealing to black people. Rather than post what I was typing last night, I will share with you an idea that came into my head this morning. What do Native Alaskans know that we African-Americans need to learn about being Orthodox Christian and culturally yourself? So, here is my idea. 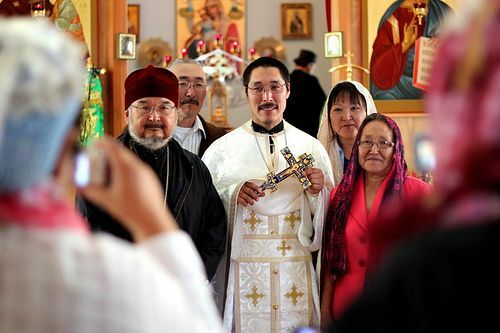 Let’s learn from the Native Alaskan Orthodox Christians how they manage to be true to their culture and members of the One Holy Catholic and Apostolic Church. After all, they faced racial prejudice and were looked down on just like us. They didn’t want to see their language and culture disappear. Orthodoxy honors who they are. But how? Are there places in the Divine Liturgy that they used a Native musical tone rather than Byzantine or Slavonic? Do the Native preachers speak with a certain vocal pattern that reaches the people in ways sermons from others cannot? This blending of faith and culture is not the result of a bridge of modern doctrines made by non-Orthodox clergy. Orthodoxy in Alaska is over 200 years old. They must be doing something right up there. If you have a problem, look at your neighbor who had the same problem and see how he solved it. Once when you learn how he solved his problem, you are well on your way to solving yours.